We will announce the workshops details as soon as most speakers are confirmed! This is the planned schedule. Some late changes might happen. 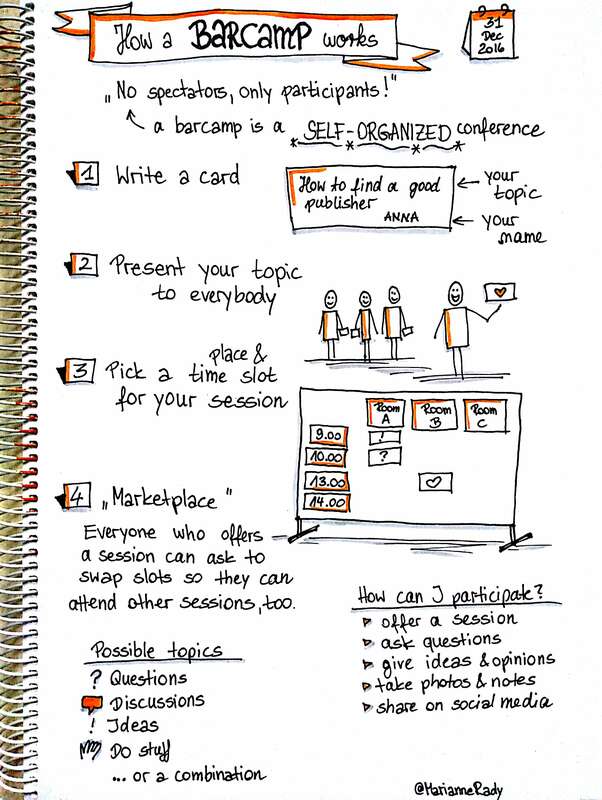 Our Sketchnote Camp will be organized in the barcamp format. Keynote session will be presented by Mike Rohde! Mike coined the term “Sketchnotes” about 10 years ago. With his published books The Sketchnote Handbook and The Sketchnote Workbook he has laid the groundwork for people interested in trying Sketchnotes themselves.